Simply wonderful, for both the young and the young at heart. ...Someday's Dreamers meets Heidi, Girl of the Alps. In a Europe of the 1960s untouched by the ravages of war, where being a witch is just another job, Kiki is a young witch just coming into her own. Having reached the age of 13, she follows tradition and sets out into the world to make her way, accompanied only by her knowledge of magic, her trusty flying broom, and her familiar, a cat named Jiji. Kiki finds her way to a good-sized town, and is taken in by a kindly baker. Soon, she sets up shop as a one-girl flying delivery service (think the pizza guy only cuter and with a flying broom). While making her rounds and living on her own in the big city, Kiki meets interesting folks of all types, and runs into a number of adventures and misadventures. Miyazaki is known for creating fanciful and entertaining tales filled with beautiful imagery and endearing characters, and Kiki's Delivery Service does not disappoint--it is a simple and wondrous movie that, although targeted at a relatively young age group (by anime standards), will almost certainly be enjoyed by anyone who has even a little bit of a kid inside. The story is simple, but imbued with a richness and reality that is engrossing despite its relatively low-key nature and everyday adventures, and it is set in a world so realistically crafted and beautifully drawn it is hard to believe it doesn't exist. The characters are lovable but real, and both the English and Japanese versions feature an endearing cast. Most highly recommended to absolutely anyone with anything even resembling an inner child, Kiki's Delivery Service is the sort of movie with a subtle richness and sense of wonder that must be experienced to be truly appreciated. Miyazaki is known for creating fanciful and entertaining tales filled with beautiful imagery and endearing characters, and Kiki's Delivery Service does not disappoint--it is a simple and wondrous movie that, although targeted at a relatively young age group (by anime standards), will almost certainly be enjoyed by anyone who has even a bit of a kid inside. It is a deceptively simple movie, but one crafted with such subtle beauty, imagination, and care that it is a joy to behold, the sort of movie that causes reviewers to run out of worthy adjectives when attempting to describe it. The storyline is mild in tension, but filled with everyday excitement (particularly for the younger viewer) and plenty of interesting situations. There are also some lessons about responsibility and self-reliance to be learned, but unlike the message-heavy animated movies frequently produced by Hollywood, this film has far more nuance and tact, and is way too much fun to call it any kind of a lesson. Actually, although Disney's plug on the back of the box frames it as a story of how to rely on yourself (Kiki has to deal with her magic faltering), that's more marketing than what the story is actually about. The real "message" is somewhat different coming-of-age wisdom about trusting in your own abilities, even when you feel like a failure. Kiki's magical abilities are portrayed more like an artist's skills--there is a direct parallel drawn, in fact, to a reclusive Huck Finn-like painter--and her lapse like a kind of writer's block. I'm guessing that this wasn't the message Disney wanted to plug. Regardless of the moral of the story, the real heart of Kiki's Delivery Service is the childlike (but not childish) sense of wonder and whimsy that Miyazaki captures so perfectly. Within the framework of Kiki's magic and the quaint world she inhabits, there is ample room for literal flights of fancy, whimsical contraptions, and a general sense of a world full of excitement and possibility that is fantastic and yet so concrete you can almost believe it's a real place somewhere or somewhen. That sense of realism, in fact, is what distinguishes this film from most standard kids' adventure fare, and also what makes it a joy to watch even for people well past the age that you'd think would enjoy the story. Part of this feeling of realism comes from the carefully crafted setting; everything from the way in which bystanders react to Kiki's flight--mostly surprised, some dismissive, rarely shocked--to the look and feel of the towns and houses, which could easily be taken from a National Geographic article on a rustic European town or a history book. Not only do you believe that this place might exist, but you can even believe that a young witch could live there, and that belief is what makes the whole story hold together so well. That believability is crucial, because the plot contains a subtly crafted peek into a near-idyllic place and the human faults and tribulations that lie beneath its surface--despite the whimsical nature of the world, most of the adventures are the sort that we encounter in everyday life. For example, in one sequence Kiki helps an elderly woman stoke a fire in an old oven to finish a pie for her granddaughter's birthday. This pie, created with so much care and effort, is entirely unappreciated by the preoccupied girl. But instead of talking about this emotional defeat extensively, or having everyone come around to the error of their ways by the end of the film, the episode just passes. No resolution or tidy endings, just a subtle reminder that not everyone is sensitive or sees things the same way. That little episode also illustrates the sort of characters that populate Kiki's world; although they are generally painted with broad strokes, there is still a definite sense that these are real people, and even minor characters are memorable and interesting. From that Huck Finn-esque artist to the old woman with the pie, Kiki runs into a wonderful variety of folks, and each character brings their own bit of adventure. Even Jiji, the talking cat, is far from the standard Disney animal sidekick; although his pragmatic attitude provides comic relief at times, even he is a real character in his own right. All that said, the best parts of most Miyazaki movies are arguably the art and animation. True to form, beautiful locations, fine art, and absolutely gorgeous animation abound in Kiki's Delivery Service. The character designs are generally along the lines of all of Miyazaki's other works, but aside from Kiki, the characters are among the most distinctive and varied of any of his films. There's action, too--wild and absolutely enchanting flights through town and across the countryside, a fanciful bicycle ride, and, toward the end, a spectacular airborne rescue scene. That last one is surprisingly tense and, as you might expect given Miyazaki's well-established fascination with high places, not for the acrophobic. Even in the case of its action scenes, one of the things that really must be appreciated is that, like the story, the visuals aren't flamboyant--everything has a distinctly down-to-earth and surprisingly realistic feel to it. This makes the scenes in which Kiki is flying over the pastoral countryside and quaint, Northern European-style towns all the more beautiful and fun, and a refreshing departure for viewers used to the wild antics and massive dance numbers of Disney characters and their kin. Speaking of which, although the opening scene has Kiki flying along set to music on her radio, there isn't a single musical number in Kiki's Delivery Service--a boon to parents tired of hearing Disney's latest signature ballad five hundred times. Even without explicit musical interludes, the background music is exceptional. Jo Hisaishi's score has a number of classically-inspired themes that are lively, playful, and simply beautiful--I daresay it may be the best of any Miyazaki movie, which is praise of the highest order. The background themes complement the story and setting perfectly, but there are also two vocal pieces--one each during the opening and closing credits--which are old Japanese pop songs, and quite pretty. In the older of Disney's two English dubs, these were replaced by decent but somewhat more generic English songs written specifically for the movie, although the words have more to do with the story; the 2010 re-release restores the original songs to the dubbed audio track. The acting is interesting, because this was the first (and fortunately not last) of Miyazaki's films to be released in both subtitled and dubbed forms. 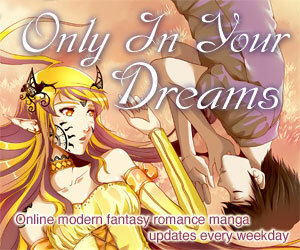 While the English version does make some minor changes in the dialogue, it is generally well-written. The casting is good all-around--colorful, but not overly exaggerated. Kirsten Dunst does well as Kiki, but Phil Hartman made the most distinctive character Jiji, with a not-so-catlike voice and a never-ending string of worried comments and sarcasm. I can't say that this performance quite fits with Jiji's look, but it works well enough and is quite funny at times. The 2010 re-release makes a few alternations in his dialogue, bringing it a little more closely in line with the original Japanese version. Kiki's Delivery Service manages to be fun, fanciful, and thoroughly enjoyable without being the slightest bit inane. Any kid should love it, but don't dismiss it as a children's movie just because it's suitable for them; nearly anyone will find themselves so drawn into its endearing world that they're unable to stop watching, regardless of age. Most highly recommended to absolutely anyone with anything even resembling an inner child, Kiki's Delivery Service is the sort of movie with a subtle richness and sense of wonder that must be experienced to be truly appreciated. 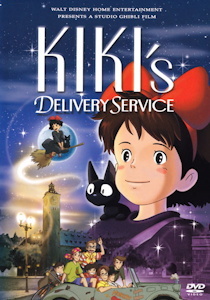 Any of Miyazaki's films share some elements, and the production quality, of Kiki's Delivery service, though they are targeted at a wide range of ages. My Neighbor Totoro (targeted at a slightly younger audience) and the Oscar-winning Spirited Away are probably the most similar, but Castle in the Sky and the more mature Princess Mononoke are also worth the time, as well as Porco Rosso (set in similar but much less idyllic alternate Europe). The Castle of Cagliostro was also directed by Miyazaki, and is worth a look (even though it is a completely different kind of movie). A theatrical movie by master animator Hayao Miyazaki and his legendary studio, Ghibli. The story is loosely based on a 1985 children's novel of the same (Japanese) title by Eiko Kadono, with illustrations by Akiko Hayashi (which look very different from Miyazaki's vision). The book is available translated into English. She has since written several sequels. There is a live-action adaptation in planning that has not moved into full production as of this writing. Note that the original title, Majo no Takkyuubin (魔女の宅急便; "Witch's Delivery Service"), doesn't include Kiki's name, although most translations around the world have added it. Only the second of Hayao Miyazaki's films to make it to the US (third if you count Warriors of the Wind, which I don't), and the first to be subtitled, Kiki's Delivery Service was the first film to come of the Disney-Ghibli partnership, which has seen the US behemoth release many Ghibli films in unusually faithful treatments. (Those unfamiliar with the team-up should keep in mind that Disney did nothing more than buy the rights, translate it, and hire some high profile dubbing talent--they had nothing to do with the production.) It was heaped with praise by mainstream reviewers, including being selected as Entertainment Weekly's "Best Video of 1998." The film is set in the nonexistent European city of Koriko; its appearance, as noted by Miyazaki in interviews, is based on the medieval Swedish town of Visby, though influences are borrowed from old cities across Europe. He's also gone on record as saying that the film is set in a peaceful alternate early-'60s Europe in which neither World War took place. Most of the technology seen roughly aligns with this period; while Miyazaki hasn't mentioned this, it's interesting to note that the lack of WWII and the flurry of mechanical innovation it spurred might explain some of the anachronistic aircraft and vehicles that appear. The song used in the opening credits on both the Japanese original and Disney's 2010 updated English dub is "Ruuju no Dengon" ("Message in Rouge"), a popular 1975 doo-wop-style song by Yumi Arai (now Yumi Matsutouya, thanks to a marriage). The closing song, "Yasashisa ni Tsutsumaretara" ("If It Could Be Wrapped in Kindness") is also by Arai. In addition to a standard album of Jo Hisaishi's orchestral soundtrack, an album with vocal adaptations of several of the movie's instrumental themes was also produced. Most notable on it is the adaptation of the main theme, Turning Seasons, sung by Azumi Inoue--quite beautiful. The history of the English translation is interesting; apparently, Carl Maceck (best known for his work on Robotech) was involved in the creation of an English dub that was never released in the US. The script from this dub was the one that Disney used for the subtitles in their releases (explaining some of its relatively minor dialogue differences), and Disney's dub script seems to be based loosely on this translation as well. The original Disney dub added many lines to Jiji's dialogue, but did not change the plot significantly from the original. Some of these lines were subsequently removed in Disney's updated 2010 dub. Footnote 1: One relatively minor but notable change in the English dub (and subtitles) is how long she would be away from home. In the original Japanese it was never expressly stated that Kiki would only be away in training for a year--only that it was a tradition for witches to set out on their own when they turn 13. Kiki did say at one point that she would be in training in whatever city she found for one year, and the witch she runs into while flying says that her training period is almost over so she can go home proudly, implying that a one-year period away from home is the tradition. The original DVD release is similar to the rest of Disney's first-wave Ghibli DVD flood, and equally good. The basics are thoroughly covered: the video is a clean, beautiful anamorphic widescreen transfer, and the audio gives you the choice of an English Dolby 5.1 soundtrack, crisp 2-channel Japanese, or a Spanish dub. You also have the choice of English captions based on the dub (which is enough different that it's useful) or subtitles (which unfortunately aren't terribly accurate, though they are closer). The video even includes both the untouched Japanese version, with the title and credits in the original language, or an English version; these appear automatically depending on which language you select in the menus, although it's unfortunate that it won't let you switch languages or subtitle tracks while playing the film. The 2-disc set includes a 2nd DVD (in a flippity case, so the package is normal thickness) filled entirely with extras; complete storyboards, the original Japanese trailers, and a making-of featurette with Kirsten Dunst and Phil Hartman. There's also an introduction by Pixar's John Lasseter before the movie, as with the other Disney/Ghibli DVDs of the era. My only complaints are relatively minor nitpicks: As I said, you can't switch languages while playing, and the Japanese version does not include a translation of the cast or most of the credits anywhere, nor does it have subtitles for the songs. In the annoying department, the disc automatically starts out playing Disney's trailers for Spirited Away et al, though these can be skipped, and when you play the feature it starts with the John Lasseter introduction, though again a quick chapter skip gets rid of his entirely unnecessary introduction. In 2010 Disney released an updated DVD version to go along with their Ponyo release; it makes some adjustments in the English dub, most notably reverting much of the music and sound effects to those used in the lower-key original. Rated G by the MPAA. Has some scenes of mild stress, but nothing noteworthy. Violence: 1 - A bit of excitement here and there, but nothing serious. Available in North America from Disney on bilingual DVD, in both a 2010 edition with an English soundtrack and dialogue closer to the original, and an older edition that matches Disney's theatrical run. Was previously also available on dubbed or (impressively well-done) subtitled VHS. Kiki's Delivery Service is Copyright © 1989 Eiko Kadono - Nibariki - Tokuma Shoten. Any images are the property of their respective rightsholders, and included for review purposes only under the fair-use clause of US copyright law.